The City of Salem, with a population of 152,000, is the capital of Oregon. It serves as the hub of farming and food processing centers. The State Government is the largest employer in the city. The City of Salem Oregon needed a system that would automate the permit application process by reducing paper work and help keep the public informed about the application process. Using AMANDA Salem staff share data electronically. The Planning Department sends automated notifications to remind citizens of required tasks, resulting in a more efficient process. Due to automatic processing, application time is reduced, improving customer service, all thanks to the AMANDA platform. The City of Salem wanted a system that would help them reduce paper to become more efficient and productive. They needed an automated process that would help them keep the public informed. In 2003, the government opted for CSDC’s business process automation software AMANDA, with a staff of over 100 people using it for citywide planning. The old system could not keep up with the City’s growing needs. By sharing information on paper and by phone, information often got lost. Using AMANDA City staff share data electronically. Data is centralized, allowing staff to access and update permit details and workflow as needed. When a change or update is made, each department is notified and can view the changes. The Planning Department can send automated notifications to remind citizens of any required tasks, resulting in a more efficient process. Due to automatic processing, application time is reduced, improving customer service. In 2005, Salem City Council approved a program to annex territories outside city limits. This is the process of incorporating property into city boundaries, giving the opportunity to be able to offer and ensure that developed lands have access to urban services. Today, 470 properties outside the city limits have agreed to annexation. The City of Salem currently has 28 annexations pending as of late 2007, with 67 annexations being approved in the last cycle. Using AMANDA, City staff review the annexation projects, ensuring all necessary requirements are completed before the annexation project begins. The candidate who submitted the application has their name associated with the annexation application. Any changes made in the project are transparent within the department and to the public. This allows the governement to save both time and money, improving work efficency. Heritage and historic properties have specific requirements, including specific requirements for plumbing, roofing, etc. In Salem, AMANDA is used to record those requirements and tailor the permitting workflow appropriately. 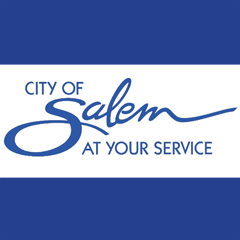 The City of Salem tracks people, property information, codes and restrictions, fees, zoning information, and land use information linked to the application. Additional regulations, or restrictions pertaining to trees and vegetation for the property are listed within the application itself.